JEDDAH: Taif University has expelled nine female students permanently, without any possibility for their return to study at the same university or any other Saudi university, for their involvement in a brawl that resulted in injuries to several of the participants. The injured students were transported to the Saudi Red Crescent Hospital for treatment. The university said an ad hoc disciplinary committee, which was formed on orders from the university rector, submitted its report on the findings of the probe conducted, along with the necessary recommendations, to the university administration. The rector endorsed the recommendations. The committee recommended that nine students be expelled permanently from all universities, without the possibility of their return to study. The committee also recommended disciplinary suspension from study for two academic semesters for another seven students; the suspension of study for one academic semester for a further 10 students; and written warnings to eight students. The university management said it will firmly deal with any action that is inconsistent with the teachings of Islam, against the ethical behavior on university campus, or violate university regulations. 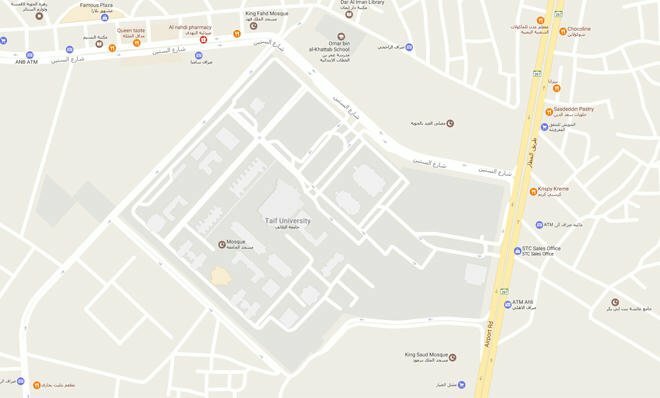 On Dec. 21, the girls’ college at Taif University witnessed a mass brawl resulting injuries to some of the students. The ad hoc disciplinary committee was headed by the university deputy for academic and development affairs. JEDDAH: The Interior Ministry on Thursday said King Salman has issued a directive to the relevant authorities to receive four Yemeni detainees from Guantanamo, who arrived in the Kingdom on Thursday. The four prisoners were transferred from the Guantanamo Bay military prison in President Barack Obama’s final push to shrink the inmate population there despite pressure from President-elect Donald Trump to halt such releases. In a statement, the Interior Ministry said the King’s directive was in addition to previous royal gesture in response to a request by Yemen President Abed Rabu Mansour Hadi to host nine Yemeni detainees from Guantanamo, whose families are residents of the Kingdom. The families requested Saudi Arabia to host the prisoners, citing the ongoing war in Yemen. The ministry added that they have informed the detainees’ families and will facilitate a meeting bringing them together, adding that the prisoners will be subject to the kingdom’s governing laws and regulations and will undergo rehabilitation programs at Mohammed Bin Naif Center for Advice, Counseling and Care. The US government has also sent some prisoners to Italy, Oman and the United Arab Emirates in a final flurry of transfers before Donald Trump is sworn in on as president on Jan. 20. 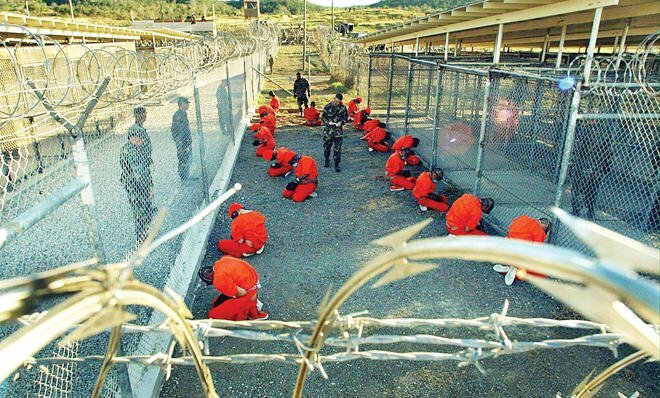 If the final transfers go according to plan, only about 40 prisoners will remain at Guantanamo, despite Obama’s pledge to close the controversial facility at the US naval base in Cuba. The Obama administration notified Congress last month of its intention to make the additional transfers, Reuters has reported. Those being transferred make up the bulk of the 23 prisoners declared in parole-style hearings to be safe for repatriation or resettlement in other countries. RIYADH/BEIRUT: Lebanese President Michel Aoun is set to visit Saudi Arabia on Monday, marking his first overseas trip since taking office two months ago. Aoun will visit the Kingdom Jan. 9-10 at the invitation of King Salman, before heading to Qatar for a two-day visit. “President Aoun will meet Custodian of the Two Holy Mosques and the Deputy Crown Prince, Second Deputy Premier and Minister of Defence Mohammed bin Salman,” Rafiq Shalala, Lebanese presidential media adviser, told Arab News. President Aoun, who will be accompanied by a large ministerial delegation, had earlier promised to visit Saudi Arabia when King Salman’s envoy Prince Khaled Al-Faisal visited Lebanon to congratulate him on winning the presidential election. During the meeting with Prince Khaled, the president underscored his keenness to enhance ties with the Kingdom. The delegation accompanying President Aoun includes seven key ministers covering finance, defense, information, economy, interior affairs, foreign affairs and education. “The timing of the visit asserts the attention given by President Aoun to Lebanon’s relations with the Kingdom,” Shalala pointed out. He also noted that a Lebanese delegation preparing for the visit has already arrived in the Kingdom to work on the final program of the visit of President Aoun. 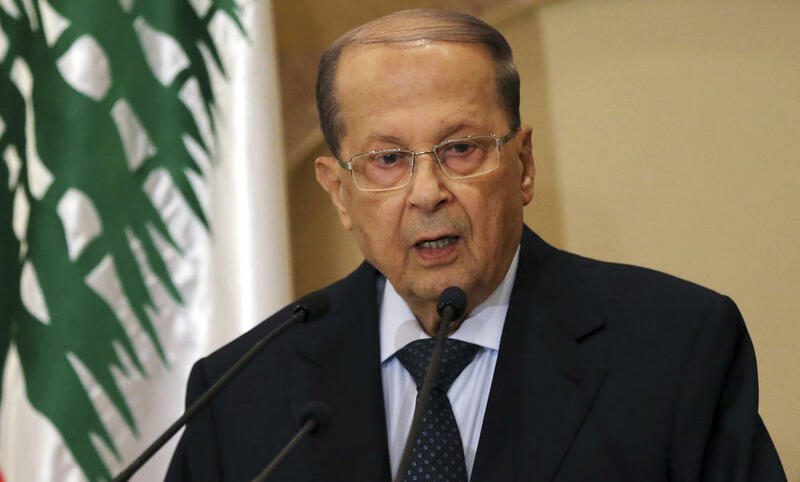 Aoun “will undertake his first foreign visit (since taking office in October) with a trip to Riyadh, and will attend a reception hosted by the Lebanese Embassy here on Tuesday,” where he will meet media figures, said Lebanese Ambassador Abdel Sattar Issa in Riyadh. In February last year, the Kingdom stopped funding a program to rearm Lebanon’s military because of hostile Lebanese positions due to Hezbollah’s stranglehold on the state. Under the Saudi-funded “Donas” program, France was to provide military equipment to Lebanon to ensure stability in the divided country. The program was to ship vehicles, helicopters, drones, cannons and other equipment. The increased influence of Iran-backed Hezbollah in the official affairs of Lebanon had apparently undermined Saudi-Lebanese ties, an official source told SPA at the time. Ex-army chief Aoun was elected president on Oct. 31, ending a two-year political vacuum at the heart of Lebanese politics. Aoun had long eyed the presidency, and his candidacy was supported by Hezbollah, his ally since a surprise rapprochement in 2006. Following the election Iran welcomed Aoun’s win as a victory for Hezbollah, Tehran’s ally in Lebanon. JEDDAH: Crowd management at the Grand Mosque was the focus of a recent discussion at The Haj Research Institute of Custodian of the Two Holy Mosques Umm Al-Qura University. 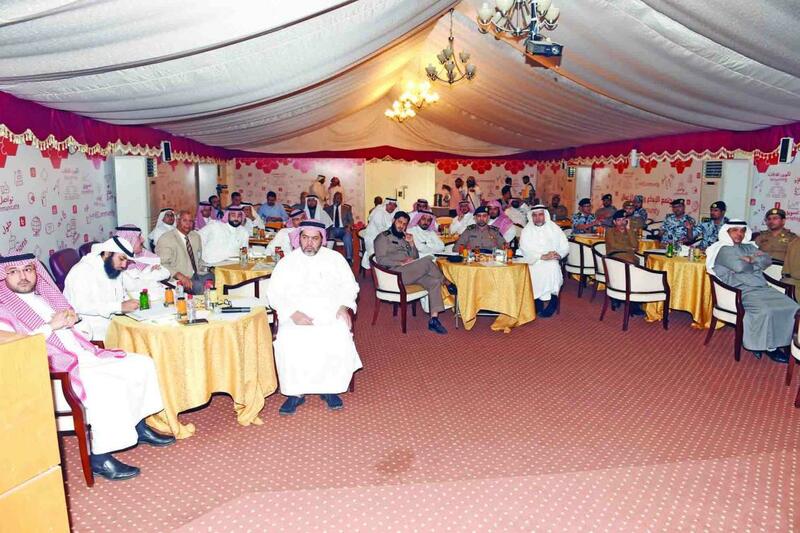 Hamza Ghulman, the university’s dean, said that the meeting strengthened the relationship between research institutions and agencies working in the field of crowd management at the Grand Mosque and surrounding areas. The participants discussed ways of developing mechanisms to control the movement of crowds and providing better services to guests during their stay in Saudi Arabia. Ghulman said that several proposals, derived from observations made during the past Umrah and Haj seasons, were explored at the meeting. Operational strategies to manage the flow of pilgrims in key areas were also activated, he said. The strategies focused on the safety of pilgrims’ on the roads leading to the Grand Mosque, inside the mosque, at entrances and gates. Modern techniques in crowd management and ways of boosting coordination between teams on the field were also discussed the meeting, said the dean. He called for effective cooperation between relevant authorities in enabling the research teams to monitor and analyze the crowd movement inside and outside the Grand Mosque and at the holy sites. 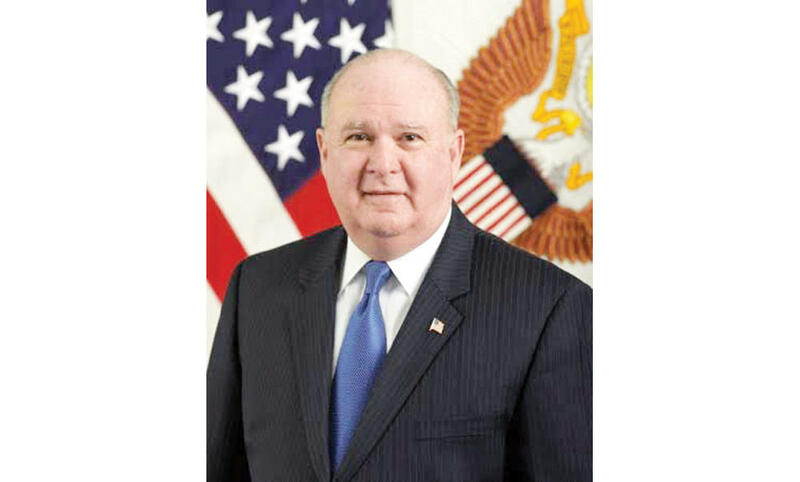 RIYADH: US Ambassador to Saudi Arabia Joseph Westphal expressed his best wishes to King Salman on the second anniversary of his ascension to the throne. “I would like to express my warmest congratulations and best wishes to King Salman on the second anniversary of his ascension to the throne,” he said. “Your Majesty, under your leadership the US and Saudi Arabia have continued to enjoy a strong and deepening strategic partnership. We look forward to working with you and your government to further enhance our cooperation for the benefit of both the American and Saudi people,” Westphal added.